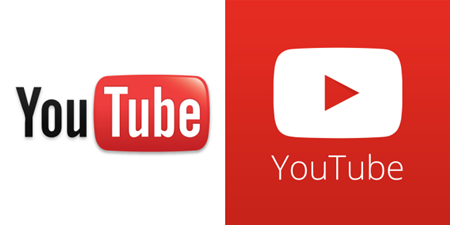 Online websites like YouTube has been always played an important role in entertainment life. Minutes or hours can go by as you browse through videos uploaded by everyday people like you and me. If you are a movie amateur or video lover and have files in MP4/MKV/H.265 format in SD/HD/4K resolution, why not upload your movies online so as to make them visible by your friends and family? Generally speaking, sharing videos or camera recorded videos on YouTube can be a lot more complicated than you thought. First, YouTube only supports several video formats for uploading, like FLV, MP4, 3GP and sometimes your video files are incompatible with it. Then, YouTube only can support videos within 15 minutes, you need to split long videos into several small video clips before uploading. Another important, you have to adjust the video bitrate, frame rate for your high resolution movies like 4K video before putting to YouTube. In this case, people badly need a third party software to achieve all goals. Is there a good video converter for converting video to YouTube supported video? That is where Pavtube Video Converter for Mac comes in to give a hand. With it, you can not only transcode any videos in any formats like H.265, MKV, MOV, MP4, AVI, MXF, AVCHD MTS/M2TS, XAVC, XAVC S, XAVC L etc (including 2160p/1080p/720p) into YouTube supported format like MP4/FLV etc, but also can split long videos into several clips within 15 mins for sharing on YouTube easily. Besides, it allows you to modify the video bitrate, frame rate, video size, audio channel, etc for your original video clips for easier uploading. Now just download the program and check out the steps below. Intact Quality of Video Codecs: Conversion of Video formats with original quality without any loss in data. Unique Personalization Options: Change Resolution, Frame Rate, Bit Rate, Encoder, Brightness, contrast or saturation point. Handy Tool for Direct Conversion: Convert any video files from Internet into other video format as per your device. Supports Diverse Applications: Convert and export any video for streaming iMovie, Final Cut Pro, Premiere Pro and many other applications. Install and launch the video file converter. Then you can add the videos to the program by clicking Add button or directly drag and drop. Click Format bar to select an output format. To share your videos or movies on YouTube, .mov, .mpeg4, .avi, .3gp format from Common Video are all the proper formats. Note: If the video clips you’ve trimmed are still longer than 15 minutes, you can choose to split the video into smaller parts so as to share on YouTube without limit. Click the Split icon in the main interface, and you can cut your files according to time length and file size. Finally, click Convert to start the video to YouTube conversion. When the conversion ends, you can tap the Open button to locate the converted files and then upload the video to YouTube simply. 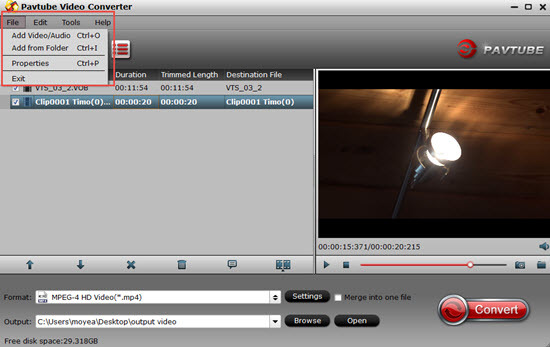 Pavtube iMedia Converter for Mac is a professional video converter and DVD/Blu-ray ripper for Mac. So if you want to also convert DVD or Blu-ray movies to digital format for uploading to YouTube, you can adopt it. I like your solutions. thanks!